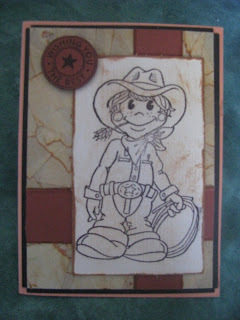 Inkspirational Designs: Cowboys & Cowgirls rule! 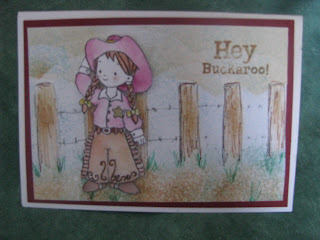 One year my church had a holiday bible program with a country and western theme. 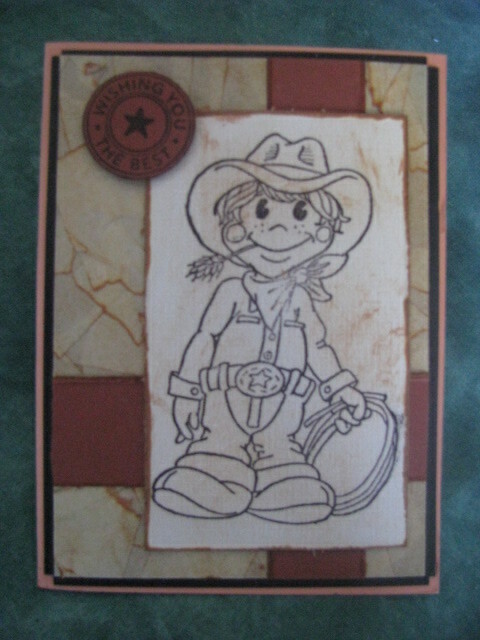 One of the activities I organized was for the kids to make some Cowboy cards. 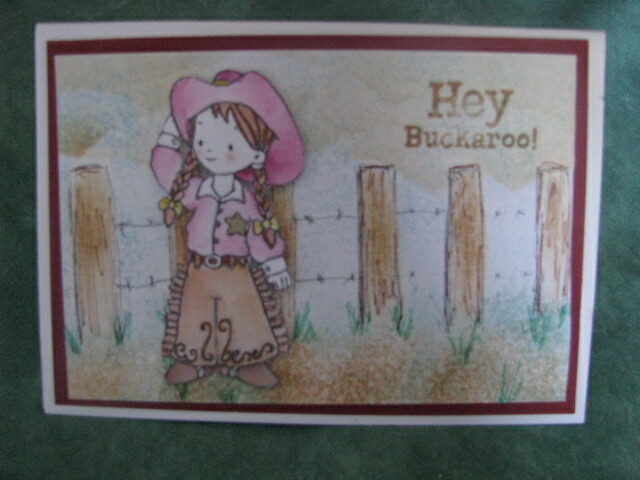 So we bought a heap of cowboy and cowgirl cards. 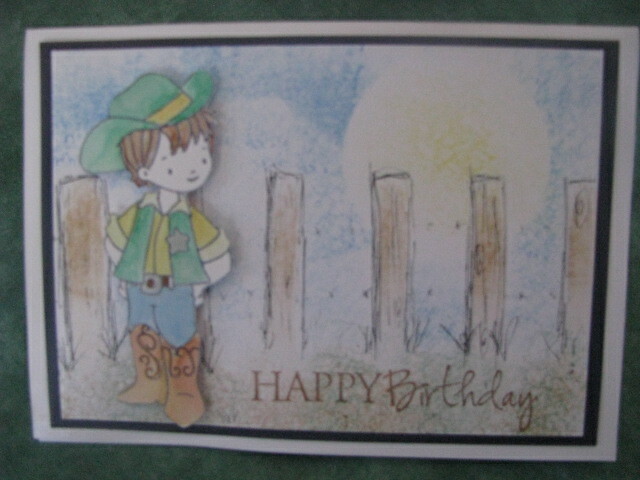 Well I needed some children's cards and so I revisited these stamps and have come up with some lovely relatively simple cards. The cowboy was masked and the horse stamped behind him and raised above the hand drawn fence. 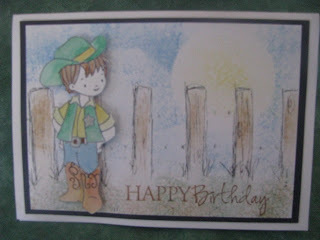 The background was dry sponged. 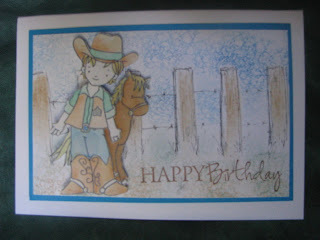 The background on this card was done with torn masking tape that was inked and rubbed with Distress Ink to resemble faux leather. We can't leave the cowgirls out, can we!